After my rather overcomplicated attempt at focus stacking yesterday I thought I'd create a much simpler photo today to share how I did it for those who may be interested. 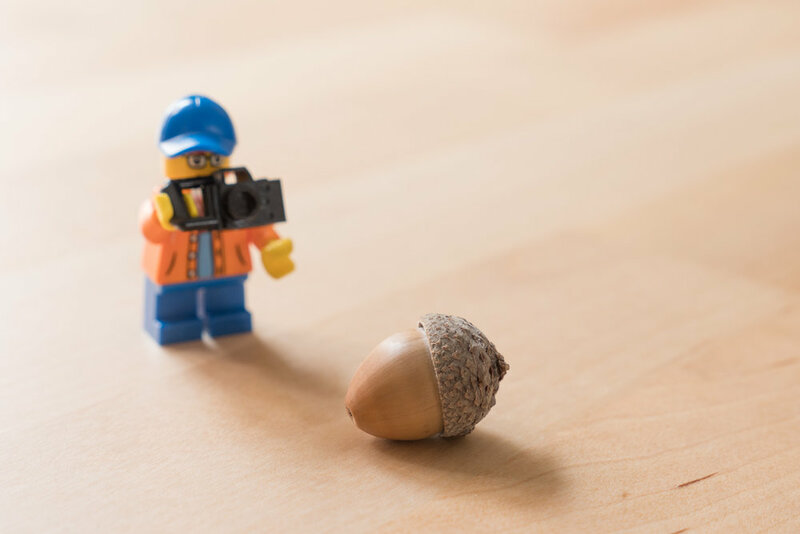 I decided to use my little Lego photographer and allow him to take his own picture of an acorn I picked up somewhere. Instead of requiring lots of pictures to capture the entire scene in view I used a smaller aperture and shot just two photos. 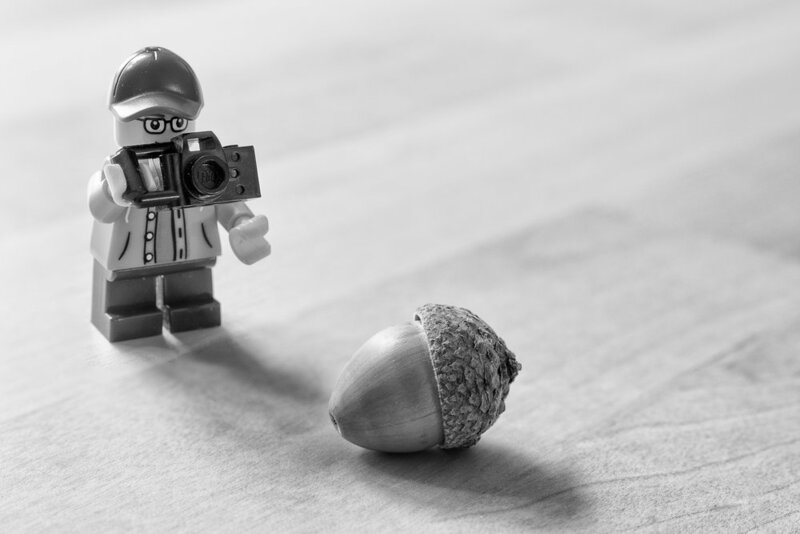 In one I focused on the acorn and the second one concentrated on the Lego figure. You can see in these two pictures that the second subject in each one is blurred because it's outside the depth of field. Using Photoshop I was then able to combine them, using layer masks to reveal the in focus areas, to create a picture where everything is sharp. Of course, having only two files to deal with, my computer complained much less and didn't crash once!